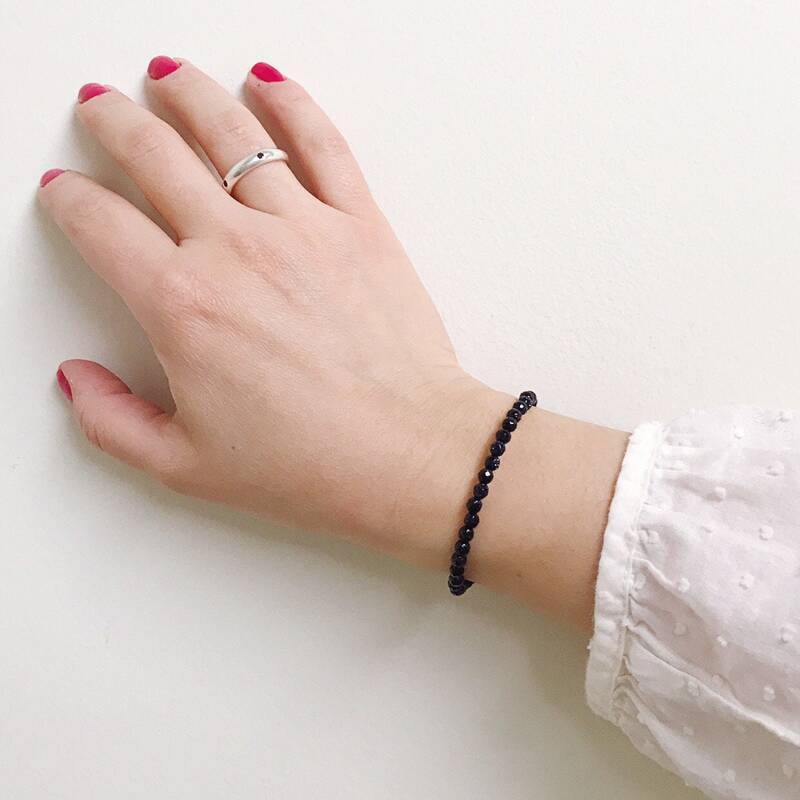 This gorgeous beaded bangle brings sparkle to a whole new level. 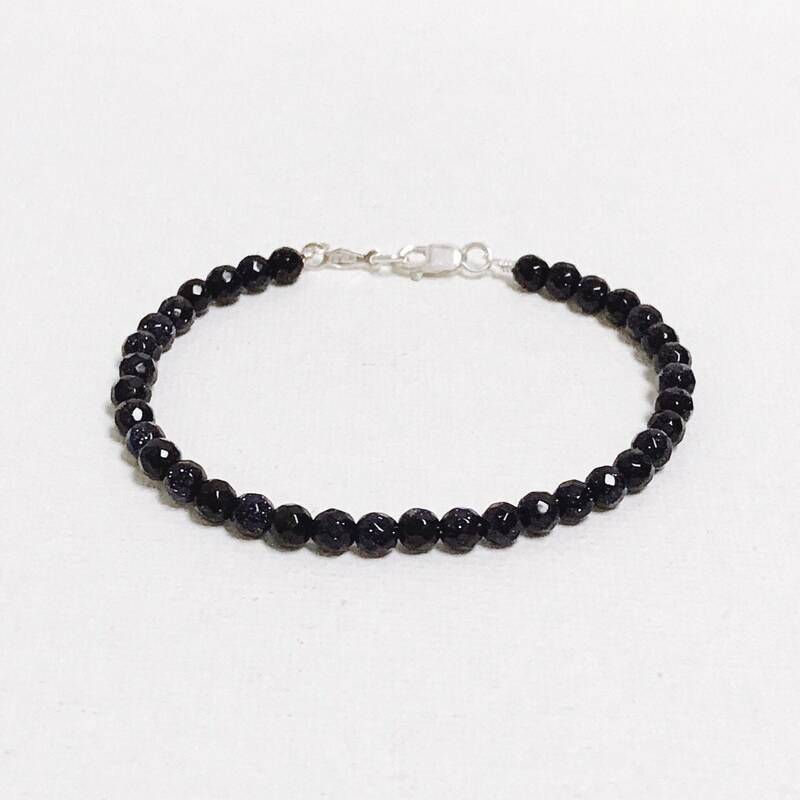 The beautiful deep blue beads shimmer with tiny flecks of silvery glitter. 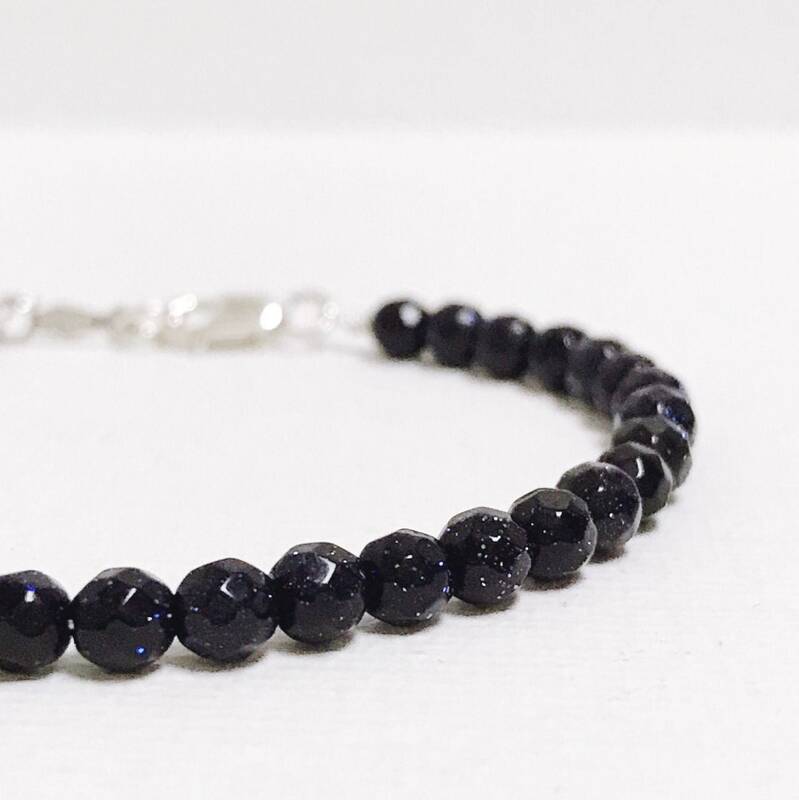 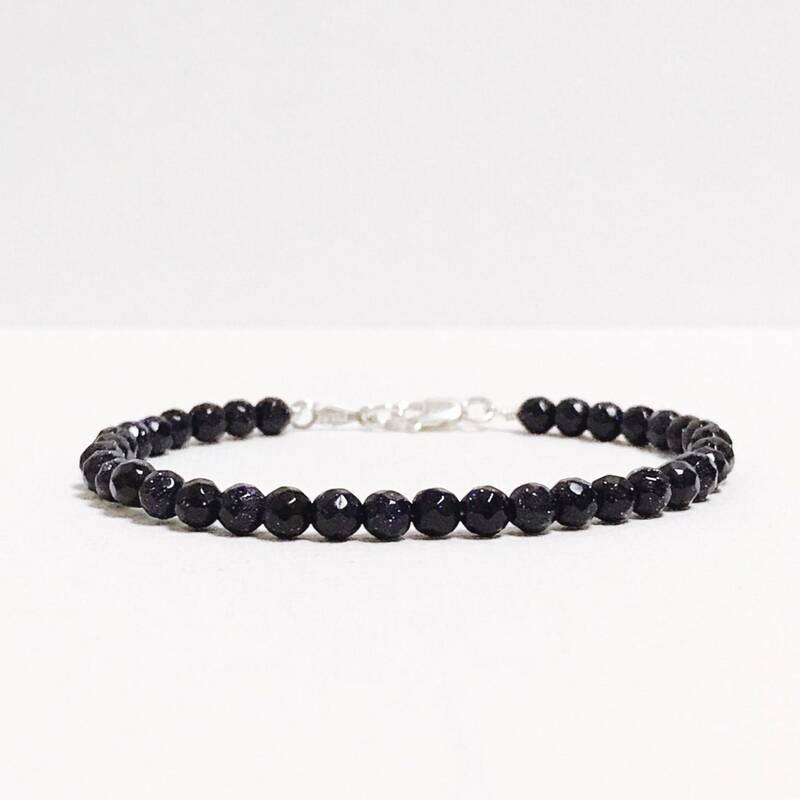 It features 4mm round faceted blue goldstone beads strung on sterling silver wire, and is finished with a sterling silver lobster claw clasp. 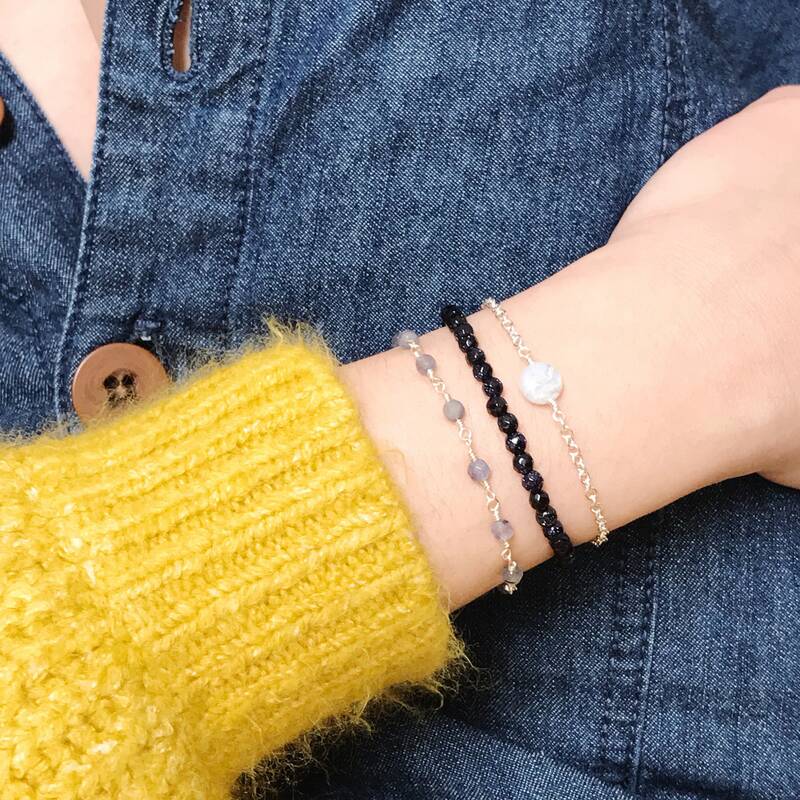 Wear it alone or mix it up with all of your favorite bracelets!